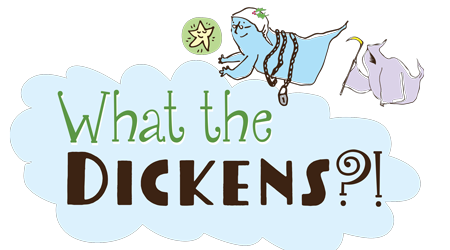 Short Christmas Play - What the Dickens?! Karen Jones has done it again with a delightfully funny short play that’s perfect for inclusion in a church service to remind us of the true meaning of Christmas. The story begins at Ghost Central, where Marley and the ghosts of Christmas Past, Present, and Future are with their union representative to complain about a hostile work environment. It seems the ghosts’ annual haunting to reform a wayward soul has gone awry, a problem that has been getting worse every year. As the ghosts explain, people are getting jaded and fighting back with Ghostbuster-like resistance! With the board of directors already looking to trim the budget, it seems that these Christmas ghosts are headed toward the proverbial chopping block! Read more...To protect their jobs and keep the whole tradition from going asunder, they need to come up with a timeless plan. Why don’t they go back to basics and visit Earth to spread the word of the very first Christmas? By sharing the story of God’s love for mankind and the birth of His only Son on that night so long ago, they can save their jobs while keeping the most important messages of Christmas alive.